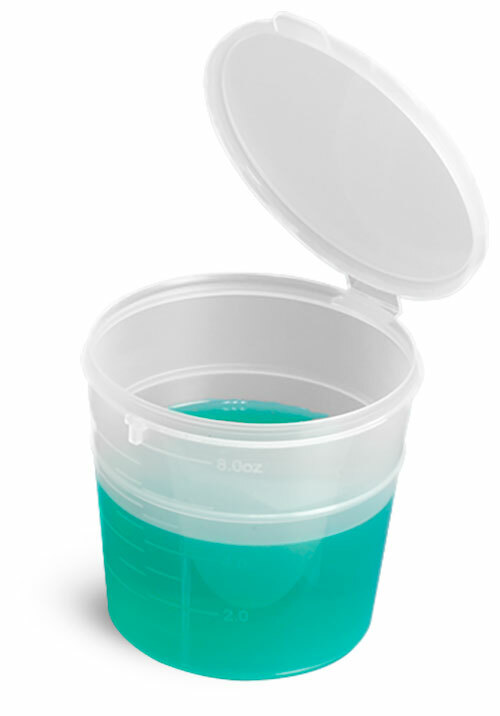 Our plastic hinge top polycons range in size from 1/4 oz to 2 oz and are available in several colors. 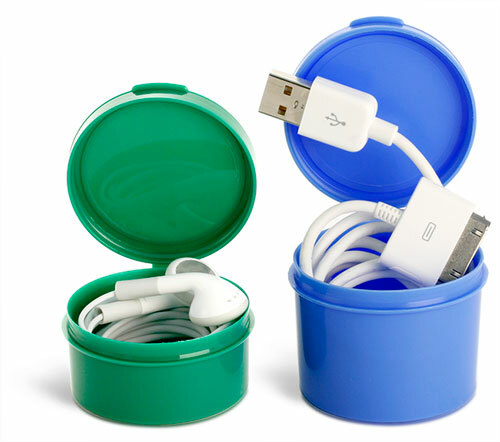 These containers could be ideal for travel to keep your earbud headphones and cords from getting tangled. 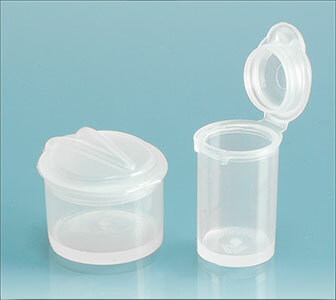 The convenient hinged tops are easy to open but stay securely shut while in transit.